Acne can be an upsetting, but very common skin complaint. So when Rachael got in touch about a lesson to chat about a lesson, I jumped at the chance to help. There’s a minefield of products out there that are good for oilier skin types. 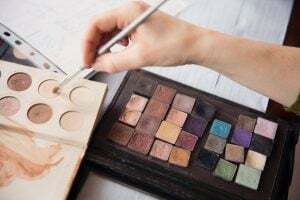 So to get a bit of guidance on some new one’s to refresh your makeup bag can be really helpful! Acne is difficult, because you’re fighting two problems most of the time. Firstly, there’s the period of time when you’re using makeup to conceal the spots. And then when the spots have gone there’s the time afterwards when you’re wearing makeup to conceal the scarring. It’s really important to note that Rachael is completely fine with her skin, and that the point of the lesson was just to get familiar with some new and useful products that aren’t just masking your skin while you’re wearing them, but they’re helping the condition of your skin too. The lesson aims were: a natural look to cover any scarring with feeling caked and maintaining a glow. So what did we use on Rachael’s skin? We prepped the base with Embryolisse moisturiser, because it’s so light. It’s a complete myth that you shouldn’t use moisturiser on oilier skin types. If you’re going to use makeup, you should use moisturiser to help create a good base. To then create a smooth base to work on we used Urban Decay’s Optical Illusion, which is a smoothing primer. It fills in pores. Oilier skin types tend to have enlarged pores in certain areas, so we put this where we needed it, mostly through the T-zone and worked it in with the warmth of our fingers. 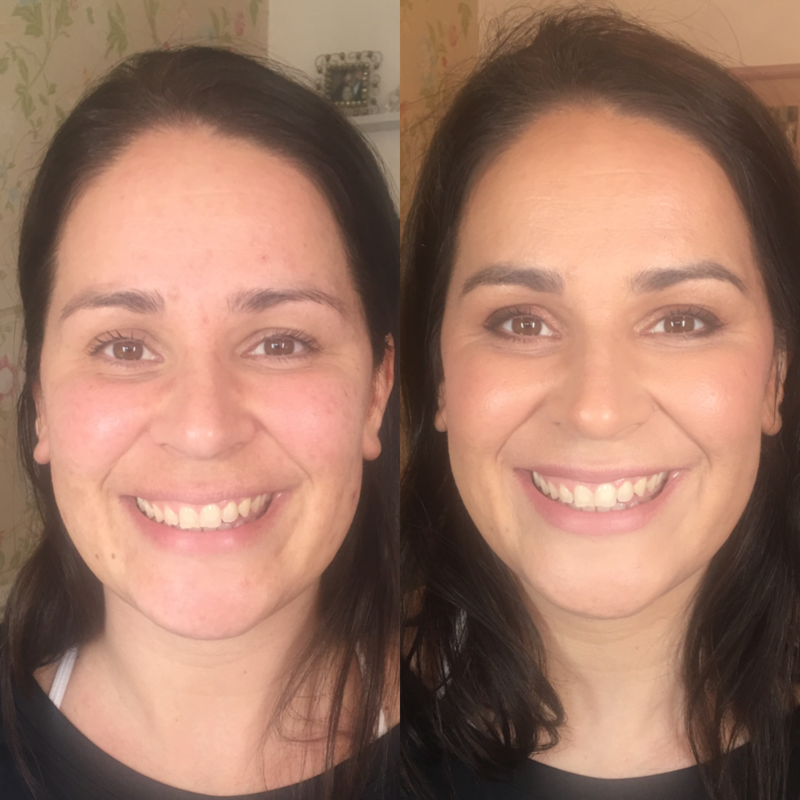 We highlighted the cheekbones and high points of Rachael’s face with Charlotte Tilbury’s Flawless Filter. On drier skin’s I might mix this into foundation or even apply across the whole of the face. With oilier skin type’s you tend to get slightly larger pores and any illuminating products risk enhancing the pores, so we limited where we used it. I love products that do something for your skin, so I chose IT Cosmetics CC+ Your Skin But Better to use on Rachael’s skin. The coverage is amazing, but it also contains ingredients like hyaluronic acid and niacin, which nourish skin and help keep it hydrated. Then for spot concealing we used NARS Radiant Creamy Concealer just for a little more coverage where we needed it and patted down the T-zone with Charlotte Tilbury Airbrush Finish Compact. Using powder just in the T-zone will help give the face more longevity. 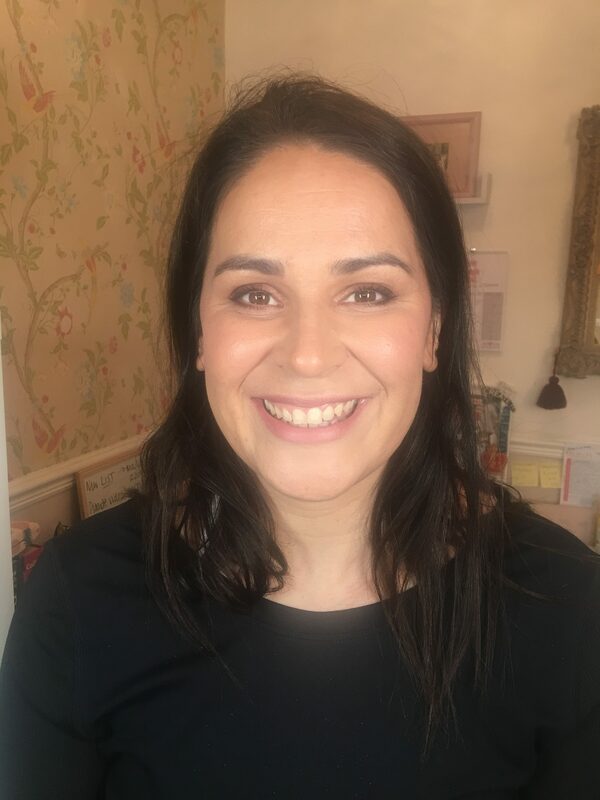 Otherwise we added colour and health to the skin in all the usual places with bronzer, blusher and Charlotte Tilbury’s Stars-in-their-Eyes palette and Pillowtalk lipstick. Do you suffer with acne or acne scarring? Let me know what you use in the comments below. Should I use Pixi Glow Tonic?